City skylines across the world went dark between 8.30 to 9.30pm as millions celebrate the World Wide Fund for Nature’s Earth Hour to spark global awareness and action on nature and the environment. The world’s largest voluntary action, encourages individuals, businesses and governments around the world to take accountability for their ecological footprint engage in dialogue and resource exchange that provides real solutions to our environmental challenges. The campaign aims to create awareness regarding the importance of saving nature as our lives depend on its health. Participation will mark Earth Hour by switching off unnecessary lights for the hour to symbolise a commitment to change beyond the hour. 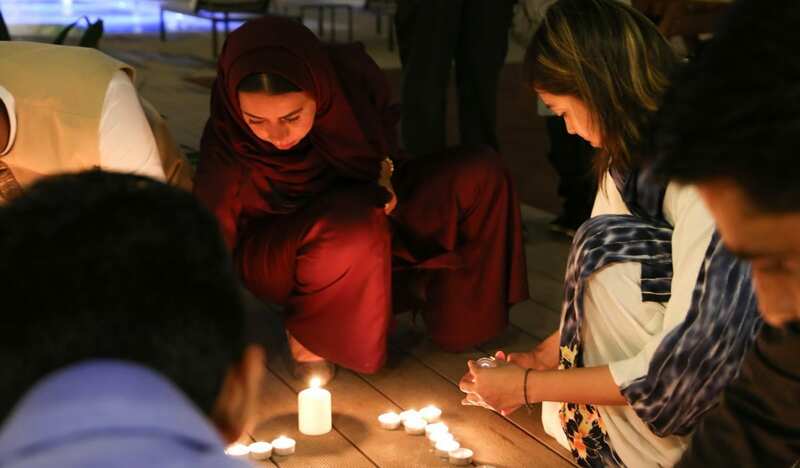 The 13th edition of Earth Hour, organized by green group WWF, saw millions of people across 180 countries turn off their lights at 8:30 p.m. to highlight energy use and the need for conservation. Dozens of companies around the world said they would take part in this year’s campaign, which also saw Singapore’s skyline go dark and Hong Kong turn off the lights along the Victoria Harbor. Other global landmarks that flicked the switch included Eiffel Tower in Paris, New York’s Empire State Building, Dubai’s Burj Khalifa, the Acropolis in Athens and the Kremlin building in Moscow.